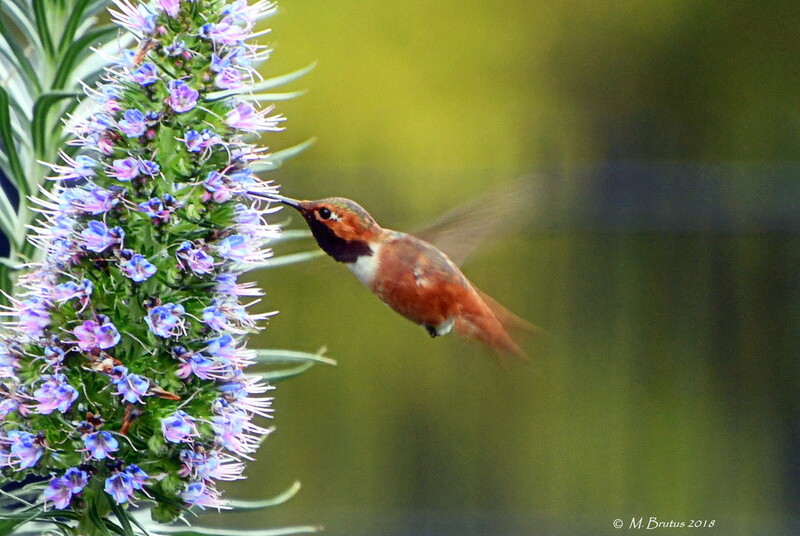 Two of my favorite things - hummingbirds and Echium flowers - combined in one shot. My lucky day. Or perhaps I should say lucky night, as it was well into twilight when my friend, Erik, already familiar with my penchant for hummingbirds, pointed this flying fellow out to me. Thank you, Erik. This is so cool! A great capture of your faves in one photo. This is a great moment! Great picture! Thank you Erik, we encore. A combination I favor as well.